Satellogic, an integrated geospatial analytics company, appointed Rick Dunn as the company’s new Chief Financial Officer (CFO). Dunn brings over 25 years of financial experience and leadership to Satellogic, including executive roles in both public and private companies as well as over 10 years in public accounting. Most recently, Dunn served as CFO of PowerTeam Services, helping facilitate their acquisition by private equity owners in September 2018. At Satellogic, Dunn will oversee the finance organization that will manage the company’s capital structure and ensure backoffice scalability as the company moves firmly into its commercial phase of growth, supporting customers and driving profitability. According to the release, he has an established record of supporting high-growth technology companies, having served as the CFO of Trilogy International Partners (a wireless carrier) and corporate controller for Western Wireless International (Trilogy’s public company predecessor), as well as CFO for ACN (a wireless mobile virtual network operator and essential services company). 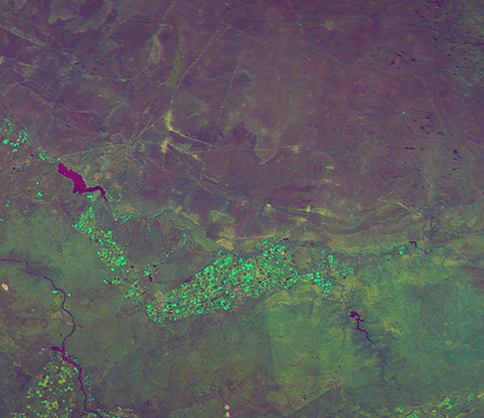 Dunn joins Satellogic following their recent announcement of an Earth observation satellite constellation that aims to remap the planet at one meter of resolution every week, and reduce the cost of high-frequency geospatial analytics. Since launching in 2010, Satellogic has raised $80 million in funding and launched eight spacecraft into orbit. They serve a variety of industries including agriculture, forestry, energy, and finance and insurance. The post Wireless Industry Veteran Rick Dunn Joins Satellogic as CFO appeared first on Via Satellite.